Welcome to NextSpace Coworking Santa Cruz. This is the historic place where Jeremy Neuner and Mayor Ryan Connerty, Nextspace co-founders, established in 2008 one of the first coworking spaces in the world. A legendary place, known throughout the coworking space industry worldwide, and still used today as ‘the’ benchmark of what an effective coworking community should look like. Pacific Workplaces (Pac) now powers the NextSpace Coworking Santa Cruz location and will bring its operational, marketing and technology know-how while staying true to the original NextSpace vision and culture. Our main goal is to help make NextSpace a very productive and pleasant place to work for everyone. Buy a Day Pass or find out more about our different Coworking Memberships. Nextspace Santa Cruz has set the tone for what a coworking space is all about: building a community of professionals who are committed to innovate together and support each other. You will find engineers, entrepreneurs, freelancers, writers, attorneys, and many other professionals who can intensely focus on their work most of the time, but also collaborate with one another and enjoy the many events put together in the event space. We understand the style in which one likes to work and how one achieves optimum productivity differs from person to person. Some thrive in an open coworking environment where they can easily ask for advice or collaborate with other entrepreneurs, but others prefer a quiet area for “heads-down” concentration. Our hot desk coworking solutions allow you to choose how you work best depending on your project or daily workspace need. Our coworking plans offer a dedicated desk option which works well for those that want to leave a large monitor on their desk or wish for more storage space. Our Santa Cruz workspace is a great place for mobile workers, freelancers, and entrepreneurs to meet with clients or just get work done! Virtual Office Space in Santa Cruz means we host your business headquarters; we receive your mail, provide convenient meeting rooms, greet your visitors, and personally answer your calls. You come and go whenever you want and use the Nextspace Santa Cruz address on your website. Our virtual office solutions in Santa Cruz provide access to meeting rooms with big screens and AppleTV for wireless desktop sharing and effective presentations. NextSpace Santa Cruz has several private offices for rent available to individuals or teams of up to 6 people. Each office space is furnished behind a locking door, but still, maintains close proximity to the “buzz” of the coworking community with full access to the numerous events our community managers put together. 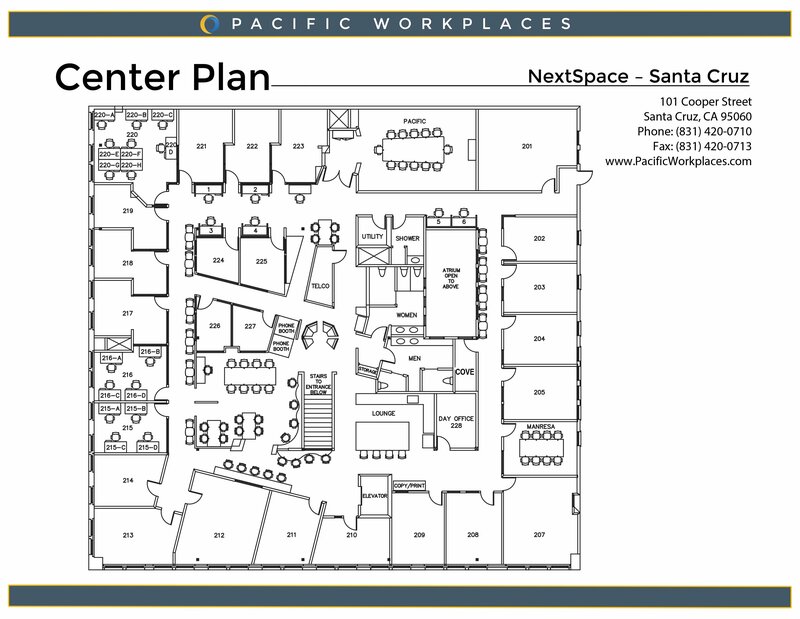 If you need private office space in Santa Cruz, NextSpace is the place for you! Request a quote today to check current availability. Collaboration can take place in multiple areas of the coworking spaces, but some business meetings require privacy and effective presentation equipment. We’ve got that, with a rapidly expanding pool of meeting rooms, small and large, that can accommodate anywhere between 2 and 20 people. Our event space is much larger and can accommodate up to 100 people after business hours in the coworking space. Visit our online calendar to book your next meeting in Santa Cruz. One of the member benefits of being affiliated with Pacific Workplaces, is that all our Santa Cruz members are able to take advantage of our CloudTouchdown program, which provides access to touchdown workspaces throughout our entire network of 700 locations worldwide. NextSpace Coworking Santa Cruz is a community of developers, founders, artists, writers, digital nomads, and a myriad of other members who are passionate about their work, but also spend time playing together and enjoying the Santa Cruz lifestyle. People come from all over the world to visit Nextspace Santa Cruz as it is widely viewed as THE model for community-focused coworking. 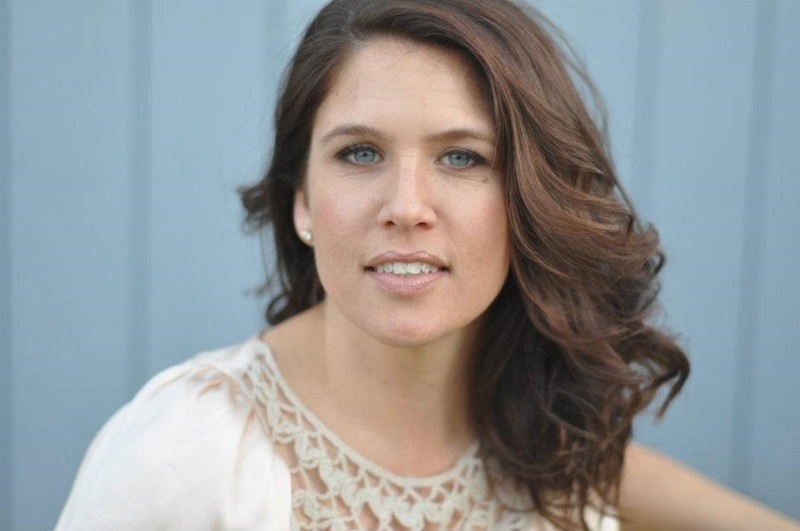 Check out this amazing blog post by member Cat Johnson who wrote about the ups and downs of the coworking life in our business community, and Pacific Workplaces role in it. Schedule a tour or buy a day pass to experience what it’s like to work with us.